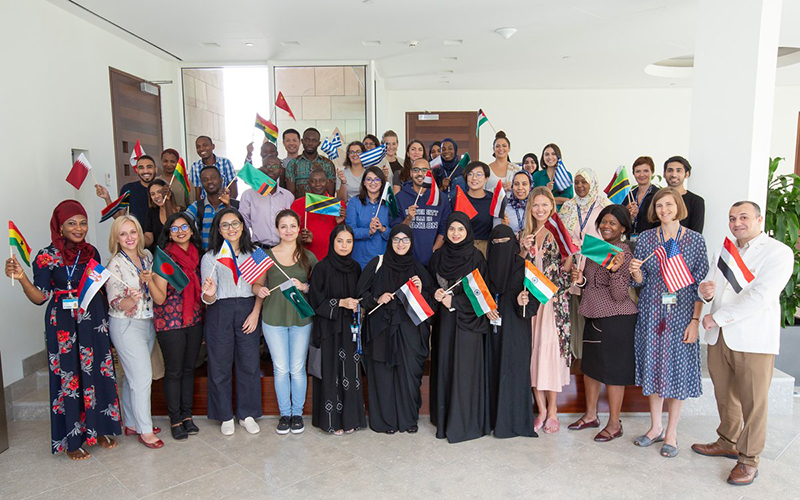 UCL Qatar has welcomed its biggest cohort of students since its inception in 2010, when the Doha-based campus was set up in partnership with Qatar Foundation. In 2018/19, 49 graduates from 25 countries will study either full- or part-time on UCL Qatar’s Library and Information Studies MA and Museum Gallery Practice MA. To coincide with the start of the academic year, UCL’s President and Provost Professor Michael Arthur visited the campus in Education City, Doha, last week to welcome the new students and meet with the UCL Qatar community. Professor Arthur’s visit included an event held at Msheireb Museums in Doha, where he spoke with new starters and alumni as well as UCL Qatar’s partners, with whom he discussed possibilities to explore future cooperative projects, while continuing to work towards the successful completion of UCL Qatar’s contract with the Qatar Foundation in October 2020. He also confirmed UCL will continue to support its partners in Qatar to continue providing educational opportunities for students and develop their workforce, research and academic capabilities. UCL Qatar welcomed its first intake of students in August 2012 and has since enrolled more than 220 students from over 50 countries. Since 2013, UCL Qatar has graduated 216 students up to doctoral level, representing 49 countries. Alumni have gone on to positions in museums, libraries, and galleries in Qatar and across the world. Over the last five years, more than 1,700 professionals have also taken part in UCL Qatar’s Executive Education and Professional Development courses, primarily in the sectors of museums and knowledge management.